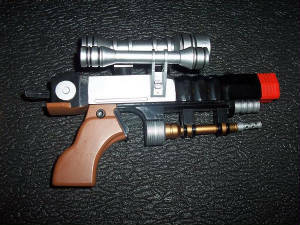 Introduction to gun: THis gun is one of many star wars guns. This gun is also relitivley rare. My brother picked it up at a Dollar store in Nebraska a while back. It shots micro darts and is relativley small. I did't have a clue about this gun before i got it.